Column capital made from 100% fibrous gypsum plaster. 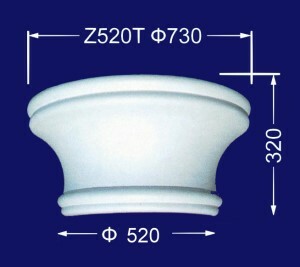 Plaster column capital to fit column Z520. Note that this column capital is half a circle so that it can go against a wall or with a second half circle to make a complete circle in the centre of a room.